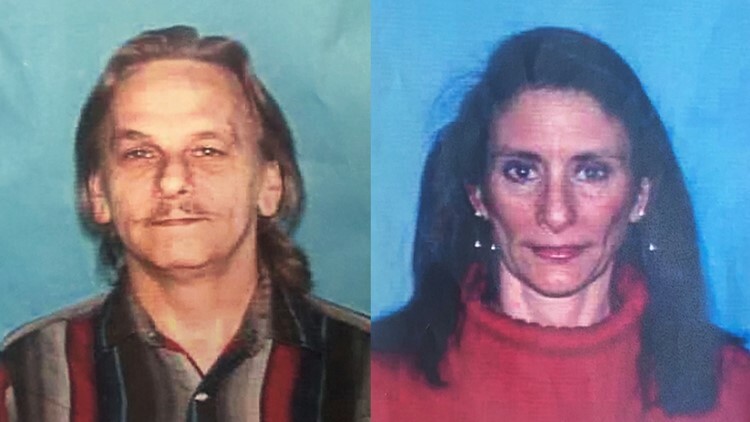 HOUSTON — Houston police have identified the suspects killed in Monday’s shootout that wounded multiple officers as Dennis Tuttle, 59, and Rhogena Nicholas, 58. Harris County Clerk records show the married couple lived at the home where the shootout occurred for at least 20 years. Tuttle is listed as the home’s owner. The KHOU 11 Investigates Team dug into both of their backgrounds and found Nicholas was in court 10 years ago over a “theft by check,” which is a misdemeanor. She paid the $145 she owed and that was the end of it. Tuttle appears to have no criminal record. Police tell KHOU 11 there was only one call for service at their home in the last six months, which was a search for a suspicious person with a weapon. That call was cleared after the officer found no evidence of a crime. Tuttle's sister drove in from Dallas Tuesday and said she was shocked by the allegations against her brother. Reality began to sink in when Elizabeth Ferrari saw the blown out windows and bullet holes in her brother's home. Ferrari said Tuttle served in the Navy and she recently spoke with him. "We had a great conversation last week," she said. "Just telling me he loved me and was proud of me. And I just shared with him that I loved him. HPD Chief Acevedo gave an updated timeline of what happened when a team of officers went to serve a search warrant at the couple’s home in southeast Houston shortly before 5 p.m. Monday. At the same time, a male suspect identified as Tuttle, came from the back of the home and opened fire with a .357 Magnum revolver. That’s when backup officers also made entry and opened fire, killing the female suspect. An exchange of gunfire continued with the male suspect. “And then we all know what happened between Life Flight, EMS, Houston police where we escorted everybody here either by ambulance or by helicopter,” said Acevedo. The exchange of gunfire was not captured on video, as Acevedo said officers do not wear body cameras when making entry while serving a warrant. In all, five officers were hurt during the shootout. Four of them were shot, according to HPD. As of Tuesday, three officers remained in the hospital. A 40-year-old officer was also critically wounded when he was shot in the neck. The chief said his family has asked for his medical condition to remain private at this time. Another officer, a 50-year-old 27-year veteran sergeant, sustained a serious knee injury that required surgery. He remains in the hospital but should be discharged later this week. Another 50-year-old officer shot in the face was released from Memorial Hermann Tuesday afternoon. And a 33-year-old who was shot in the shoulder was released Monday night.